Q – Why Should I Upgrade To Windows 10? 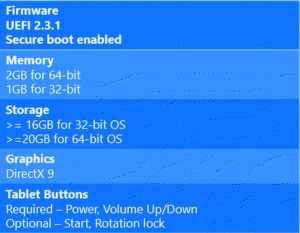 A – There are a number of reasons why you should upgrade your computer to Windows 10. Microsoft plans this to be last version of Windows and therefore will receive continuous updates; this includes security, ease of use and new features. Once you have purchased it you wouldn’t need to buy Windows again, unless Microsoft makes another. Another reason why you should buy it is because it can be used over multiple different devices, the main two being the Xbox One and Windows Phone. What this means is that you can access your files on your phone from your PC whilst you are away from your computer. Windows 10 also takes the best features of Windows 7 and 8 and combines them, for example it uses and improves on Windows 7 start menu and user interface. It also uses some features from Windows 8, for example the apps return in Windows 10. Finally if something goes wrong with Windows it is very easy to restore it, this means to reinstall Windows 10 and start again. Hopefully you won’t need to do this but if you ever need it’s the most straightforward and easy it’s ever been. Q – How Much Is Windows 10? A – There are two versions of Windows 10, Home and Pro. To buy these from the Microsoft Store Home costs £99.99 and Pro costs £189.99. There are cheaper ways to purchase Windows 10, for example on Amazon you can purchase the Home version for £84 and the Pro version for £150. There are also many other websites you can purchase Windows 10. 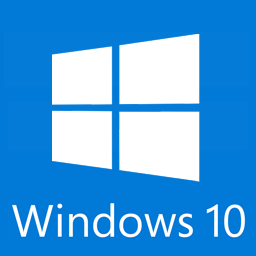 Q – What Are The Requirements For Windows 10? The requirements for Windows 10 are fairly low and almost all modern computers should be able run it. For older computers you will need to check carefully as these are the minimum requirements and therefore if you only just meet these requirements then you may find your computer runs very slow. Personally if your computer is running Windows Vista and lower you may have a hard time running Windows 10 and therefore I personally recommend only getting Windows 10 for computers that are either running Windows 7 or Windows 8/8.1. Q – What If My Computer Doesn’t Meet the Requirements? A – If your computer doesn’t meet the requirements then the best idea would be to purchase a new PC. These days you can buy a very good PC for around £300 that comes with Windows 10 already installed, all you need to do is enter some details and you will be ready to go. Q – Can We Install Windows 10 For You? A – Yes. This is something we can do; all you need to do is purchase Windows 10 and then bring in your computer with the Windows 10 you bought. Doing this will involve two services: System Reset & Restore and Data Backup & Transfer (Optional). The System Reset & Restore costs £49, what this will do it wipe the data off of your hard drive and then installs Windows 10. 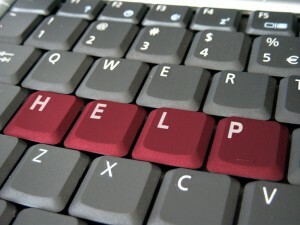 Now this will mean you will lose all data stored on the computer and therefore we provide another service called Data Backup & Transfer where we backup all of your data before and then copy it back over once the installation is complete, this costs an additional £35. So in total it will either cost you £49/£84 plus the price you paid for Windows 10. Q – Is It Worth Getting? A – Windows 10 is definitely worth getting, particularly for those using Windows Vista or lower. If you are one of these people then make sure to check your computer against the requirements as it may be worthwhile purchasing a new computer with Windows 10 installed already. I personally think Windows 10 is great. It may take some getting used to for inexperienced users but once you have used it for a week or so you should be able to use it with ease. Liked this Q + A? Subscribe to our newsletters!